GOOD contract management is really all about execution. Diligent contract management will ensure maximum value from your outsourced relationship. 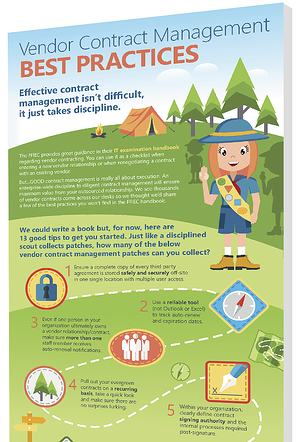 We see thousands of vendor contracts come across our desks, so we thought we’d share a few of the best practices you won’t find in the FFIEC handbook.